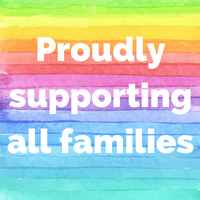 We can’t wait to support your family! Our team is proudly trained by the most rigorous, professional certifying organizations for doulas and childbirth educators. We take our training seriously, and we are always updating our skill sets with new continuing education. Let's get to know each other, and I'm sure we can find the perfect doula for your family. Click on the pictures below to find out more! "My husband and I moved here to Nashville from Colorado back in 2010. It’s just us in Tennessee. "Amy arrived at the hospital not long after I was admitted and stayed with me until our sweet baby girl arrived. With Amy by my side, I received encouragement, strength and service. I couldn't be any happier with our decision to ask Amy to be our doula. Having a person help guide you through this life changing event is a no-brainer. We plan to have Amy by our sides for any future pregnancies."